Monopoly. There. I said it. 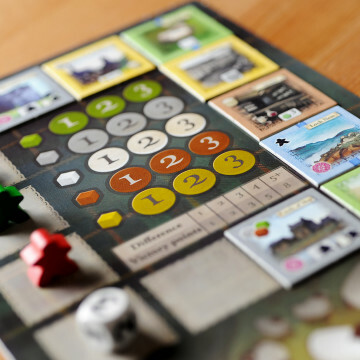 You gonna click away now, Spiel des Jahres snobs? Well, it’s your loss. There is no question that Monopoly is (along with Risk, Scrabble, and arguably now Catan) one of the marquee games of tabletop. Like, ask a random person on the street to name a random boardgame and 43.2% will say, “Monopoly”. (I totally made that statistic up, btw. 18.2% of the statistics you see on the Internet are totally made up.) We’ve all played it at some point, and many of us spent hours playing it in our misbegotten youths. 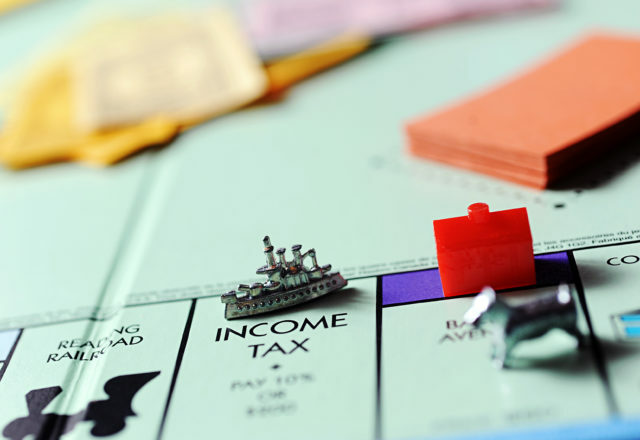 Monopoly actually has a fascinating history. It’s origin story is shrouded in controversy and, believe it or not, radical feminist political economy (link). Its huge popularity made it a perfect cover to help British POW’s escape German prison camps (link). People played it underwater. In 2015 the world record was set for the longest game of Monopoly in a bathtub (99 hours). But if you’re like me I’m sure the question you’re asking yourself is..WHY? WHY WHY WHY? Why do people spend so much time playing such a flawed game when the state of game design has improved sooooo much in the 85+ years since it was first published–or, at least published under the name Monopoly…see here (or don’t, if you want to preserve your state of naive bliss). I’m not going to go over all the reasons Monopoly is outdated and flawed; you can read them here. If you want a good economic game that doesn’t take forever, how about Acquire? It’s been in print for more than fifty years and still cleans Monopoly’s clock in terms of gameplay and strategy. Or if you want something more recent, how about Brass? Or Stockpile? And if it’s trading and deal-making you like, have you tried Bohnanza? Chinatown? I’m the Boss? 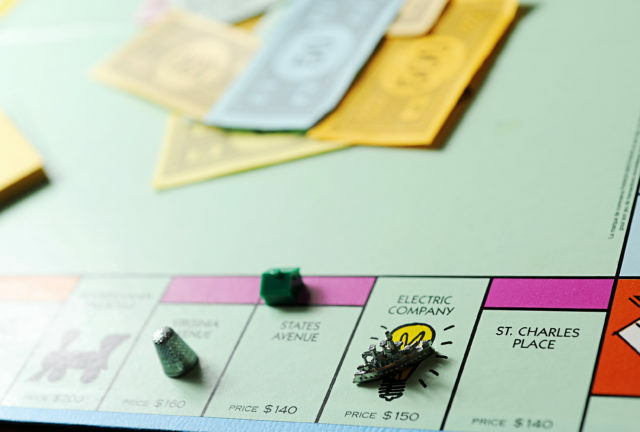 Monopoly’s an ideal brand because it’s baked into our collective consciousness and it’s been licensed up the wazoo with over 200 different versions that people buy as novelty gifts or for their kids or grandchildren. I myself bought Monopoly: Legend of Zelda edition for my son because…well, I forget why, it seemed like a good idea at the time. Okay, enough background chitter-chat. Down to brass tacks. You’re up at the cottage, it’s raining, there’s a copy of Monopoly there (of course). Your gamer friends all groan when you suggest playing it. What six changes make the game palatable for 21st-century tabletoppers? Play by the actual f**king auction rules. How many of you know that the bank is actually supposed to auction off properties you land on but don’t want to buy? I thought so. Adding in this key rule–which has been in the game since 1933–adds a whole different dimension into the game. It’s possible to swoop in and buy up great properties at auction if everyone else wastes their money buying garbage. Play by the actual f**king rules for Free Parking. 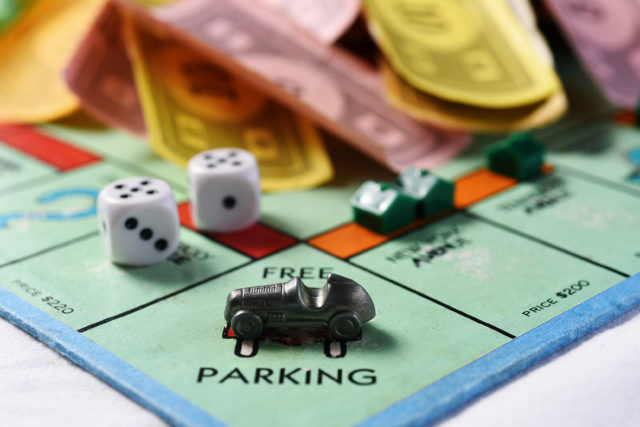 The reason most of our childhood games lasted forever is that most people use the “rule” that all money spent for Chance and Community Chest penalties goes on Free Parking, and anyone landing on Free Parking gets the cash. Well guess what? That’s not an actual rule! I quote from the official US Tournament rules: “A player landing on [Free Parking] does not receive any money, property, or reward of any kind. This is just a ‘free’ resting place.” BAM. No more last-minute reprieves for players down to their last dollar (but see more below). Play by the actual f**king rules for landing on GO. Somewhere along the line someone decided you should get $400 for landing on GO. It’s not in the rules. Ditch it. Like the Free Parking thing, it injects way too much money into the economy of the game. It’s $200 when you pass or land on GO. Use an accelerated start. The first three changes were about actually following the rules (or f**king rules) as written. The last three are actual changes to the rules. This one speeds up the game by starting players off with some properties, which skips over the first few turns of “roll, land, buy something, end of turn” and gets you straight to the much more interesting develop and trade phase of the game. Before the game starts everyone gets three random Title Deeds for free. Done. No more “last one standing”. Playing til all players but one go bankrupt is stupid. The eliminated players have nothing to do, and when the game’s down to two players it can last forever. So the game ends when the first player goes bust. 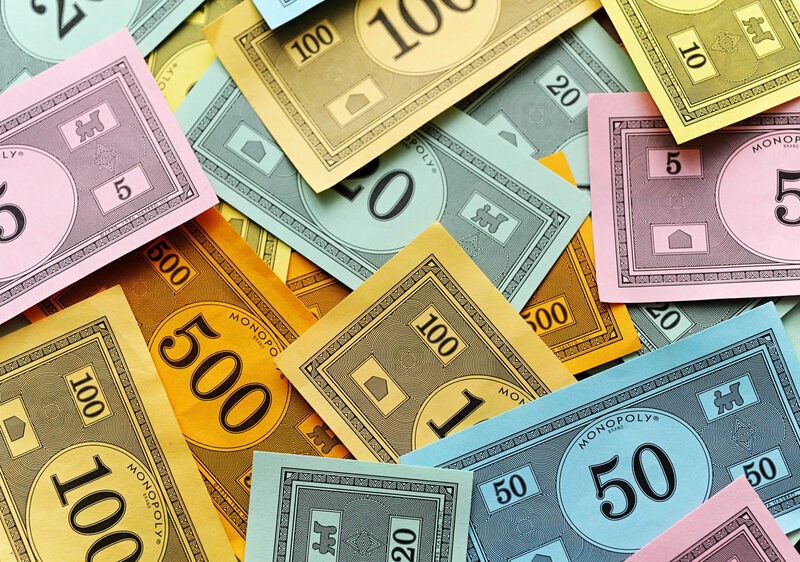 Everyone else adds up money, property values (including mortgaged ones), and turns in houses and hotels for half their value, and the remaining player with the most money wins. Variable player powers. See this thread on BGG. 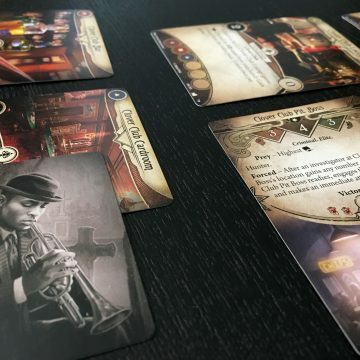 This one has the most potential to unbalance the game, but also introduces some interesting asymmetry–and anyway, it’s Monopoly, so keep your expectations low. 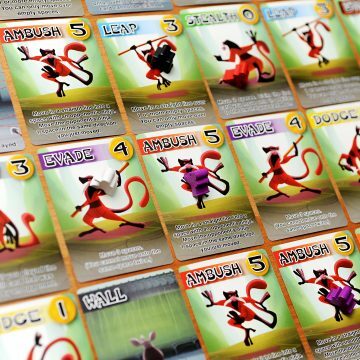 Basically there’s a deck of thirty cards, each with a unique power which subverts the rules in some way. You start the game with two, and can buy more at increasing costs during the game. You can even trade powers! Even if you forego #6 (which is the only one requiring extra components anyway), you will be amazed at how the first five changes dramatically tighten up the game. Give this a shot and report back to us on how it went. Now, do you want the top hat or the racecar?